2 Bedroom Flat For Sale in Bristol for Offers in excess of £410,000. This property's price has dropped from £430,000 to Offers in excess of £410,000. Parking and the added benefit of a super sized store come with this superbly presented fifth floor apartment. 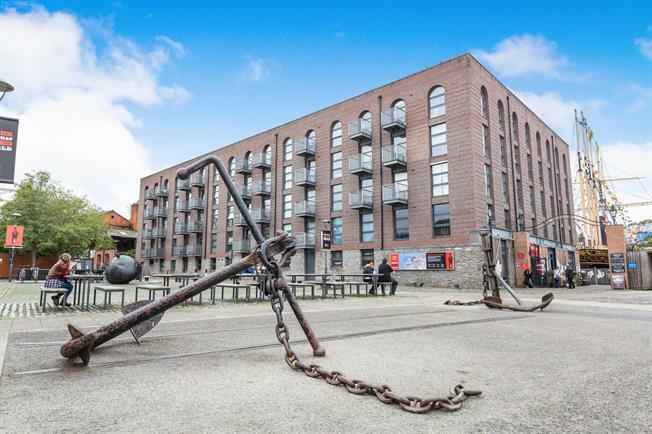 Occupying an excellent location on the harbours edge the apartment offers views down Bristol Harbourside. The immaculate accommodation comprises of an open plan lounge, dining and kitchen area, 2 double bedrooms with the master benefitting from an en-suite and a further bathroom. As well as a parking space this apartment further benefits from a store room which the current owner has turned into a gym!